The only one not pictured is the Four Seasons because the photos were so dark. 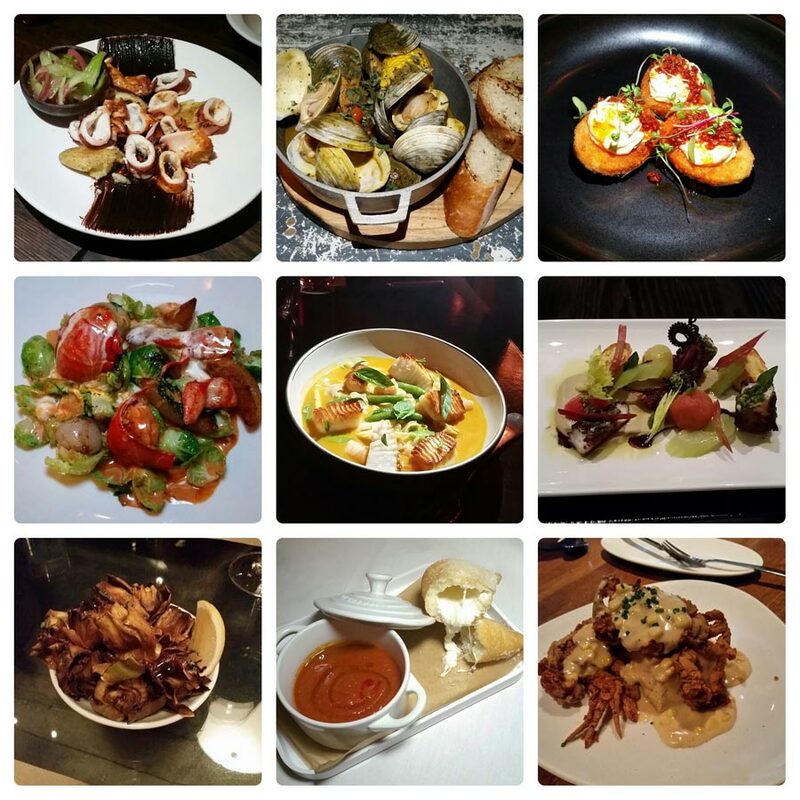 Is it even possible for me to pick my top ten restaurants of 2014? After all there are so many good ones. Plus, there are so many good ones that I still haven’t been to. I clearly need two stomachs or a clone. I cooked a lot. I ate a lot! I ate out a lot. This is the first year I kept a complete list. I ate at over 220 restaurants, bakeries, cafes, food stalls, food trucks, holes in the wall, etc. in 2014. I ate at a few of them more than once. Oddly, I don’t think I ate at any food trucks. I’m not a fan of standing in line to get food or eat food. I did got to a couple of the pop-up food markets (Madison Square Eats, Broadway Bites, etc.) that spring up around town. If you go during the off hours there are no lines. I digress. If you’re on my mailing list, you know I send out a running list of all the restaurants I’ve gone to in New York City and on my travels. I include my IMHO ONE WORD reviews for each place that range from LOVED! to FAIL. There were 35 LOVED! ones out of the 220 places I ate in. I chose only places in New York City from that list and only sit down restaurants to make my top ten list (I will make another list of places I’d grab sweets in Manhattan). There are several variables that go into restaurants that I get super excited about, but it starts with the food, then the service and finally how I felt when I was there. For my IMHO ONE WORD reviews, I have to decide immediately how I feel about them. But the last variable is how I feel long after I’ve eaten there. Do I dream about a certain dish? Do I jump at the chance to go back? Do I try to lick the screen when I look back at the food photos on my Instagram feed? 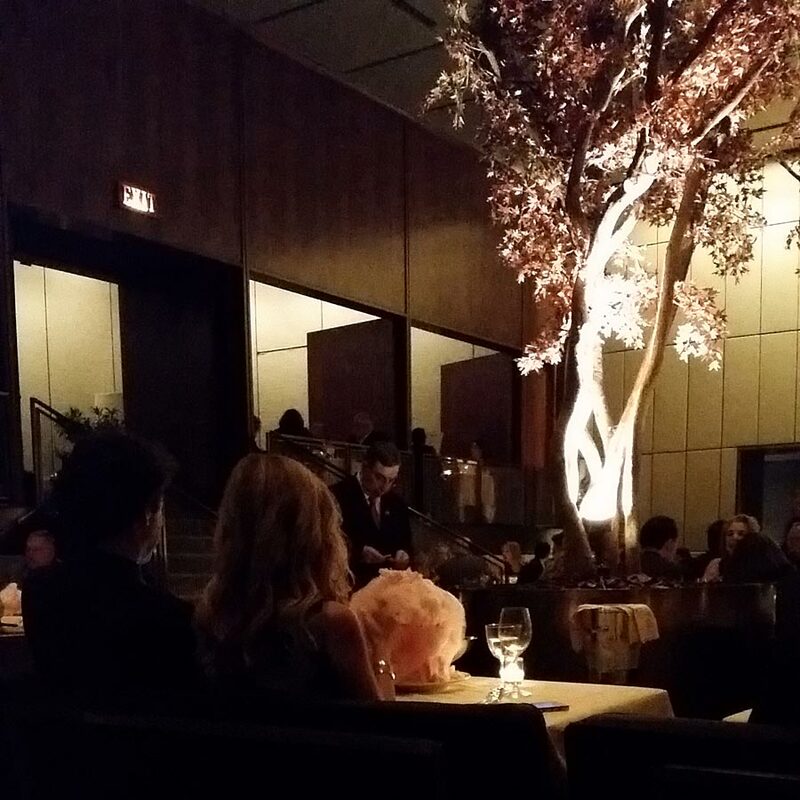 Everyone gets pink cotton candy at The Four Seasons! While there are many more places I’d suggest, these are the places I would tell you to go to and take me with you. FYI: this list is not in any order and they link to the photos on my Instagram feed. Despite the lack of Queens places on my list, I’ve been eating there more frequently, mostly doing food crawls through Flushing and Jackson Heights. I hardly ever eat in the Bronx and never in Staten Island. Have to work on that in 2015.